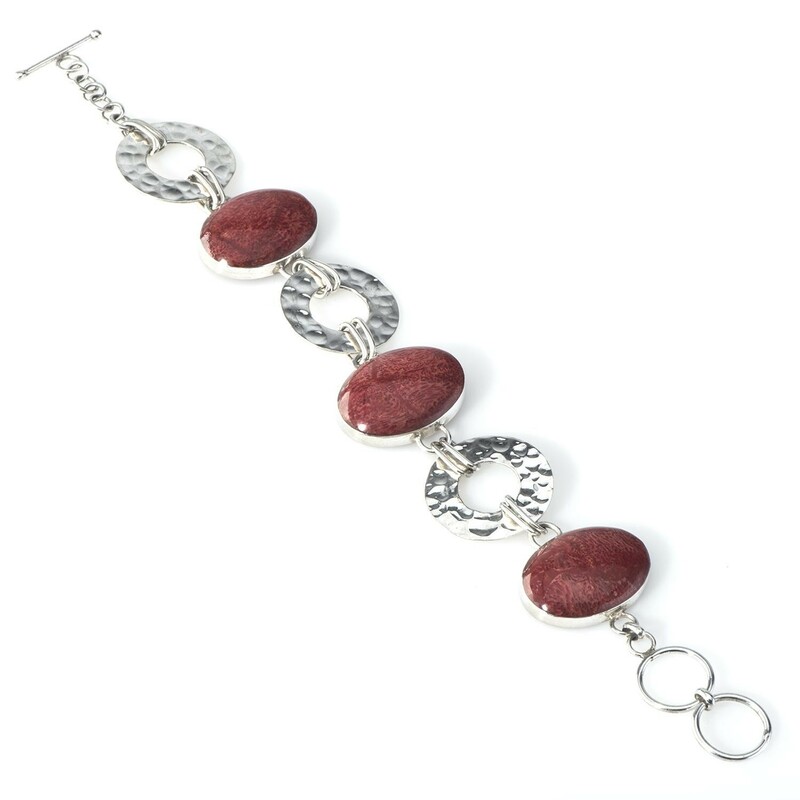 This Red Coral Chain bracelet for women is adorned with bold oval shape Coral stone. A handcrafted jewelry from one of Bali's talented artisans. Corals are known for being very soothing and very protective. A perfect present or simply give it to someone as a friendship bracelet for protect... Read more. This Red Coral Chain bracelet for women is adorned with bold oval shape Coral stone. A handcrafted jewelry from one of Bali's talented artisans. Corals are known for being very soothing and very protective. A perfect present or simply give it to someone as a friendship bracelet for protection and endearment. There is beauty in wearing the gift of nature as this charming sterling silver bracelet will surely captivate everyone's attention.